So I was presently surprised to find Mitt as a humane piece. It didn’t say that Mitt Romney was the right man for the job. It didn’t say he was the wrong man for the job. It just showed us a man. A man who is just like many of us. He saw the presidency and thought he could do better. Maybe he could, maybe he couldn’t. We know the outcome of this film before we start it. The journey is interesting enough to keep us enthralled. The family dynamic is sweet. This is an American family. These are good people who are just doing what they think is right. In a way, it speaks volumes about standing up for what you believe in. 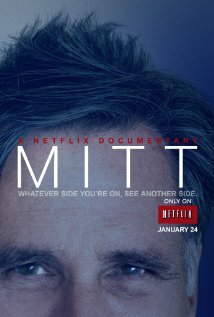 The Romney clan isn’t what I would call the most interesting group I have ever watched. At times, the film feels a little stretched. Still, it is worth a watch. I doubt it will win awards this year, but there are worse ways to use your Netflix account.